This time, you should play with your food! 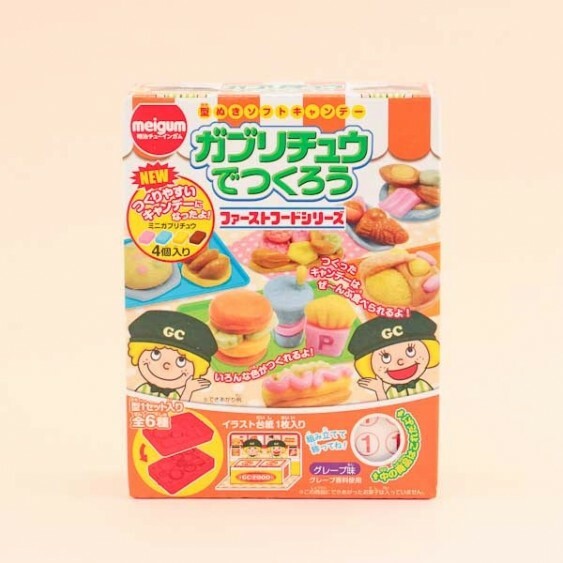 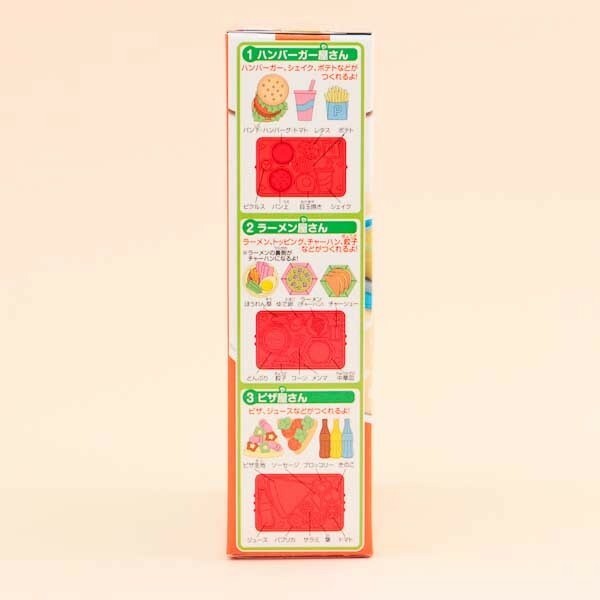 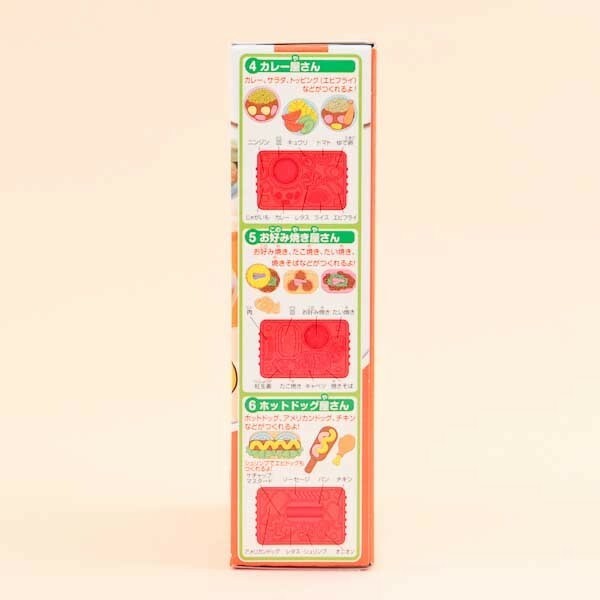 This chewing candy kit from Meigu contains candy in four different colors and a mold that you can use to shape the candy into food! 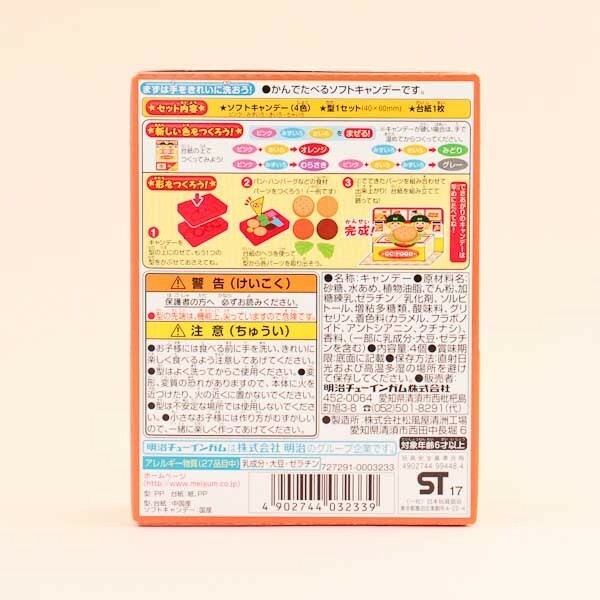 For example a hamburger meal, or a bento meal.